Day 2 at the Japan Nationals wrapped up registration and equipment measurement, with the opening ceremony, skippers’ meeting and welcome party formally kicking off the Championship taking place at Shin Nishinomiya Yacht Harbour, 18-23 November 2016. 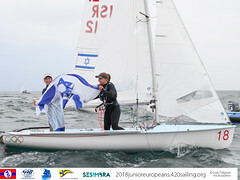 JSAF (Japan Sailing Federation) has invited Nino Shmueli as a mentor of race management of this event from World Sailing, who joined today’s events. National team sailors and their coach gave an update on the Rio 2016 Olympic Games 2016 during the welcome party. 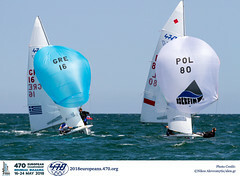 Their experiences from Rio gave a real insight to younger teams, relived the excitement of competing at the Olympics and hopefully encouraged young sailors to aspire to become national team sailors. 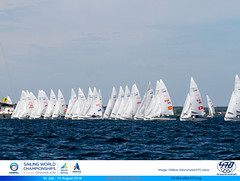 Racing starts on Sunday 20 November. Follow updates on Facebook and the Championship website.